People keep talking about space tourism like it's actually going to happen. And the budding interest of brands won't help quiet matters. To reinforce its position as the spirit of choice for "a bit of an adventure"—and to give rich space tourists something fun to drink while gazing down at the Blue Marble—whiskey brand Ballantine's is financing research and development for a liquor glass suited to zero gravity. To function in space, the glass must work around the fact that liquid is impossible to pour in a vacuum. 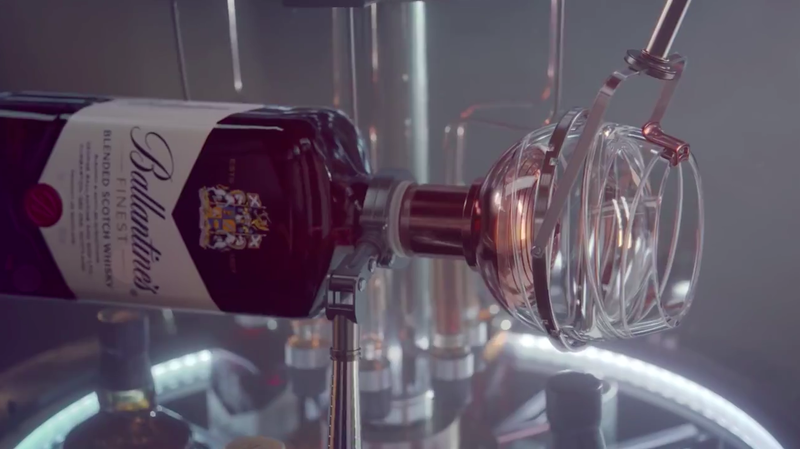 A current prototype achieves this by integrating a spiral ring into the bottom of the glass to catch the whisky, which travels up to the rich fake-astronaut's lips through a helical channel carved into the glass's side. The latter effect is called "capillary action," first observed by Leonardo da Vinci, so it appears man's aspiration to get hammered in space is older than we thought. The International Space Station conducted a few experiments on this very subject; it turns out that aging Ardbeg whiskey in zero gravity makes it taste better. (Japanese brand Suntory is now repeating the experiment to be extra-sure … and for first dibs on the marketing opportunity.) It's too soon to know whether a glass of Ballantine's drunk in space will taste any better or worse, but it certainly looks like humanity's first goal for intergalactic tourism is to get properly sloshed. That fancy liquor glass can't come soon enough.